Find out below how Chem-Dry’s Protectant Package and Healthy Home Package (professional strength sanitizer and deodoriser) can help protect your carpets and upholstery from everyday stains, unhealthy allergens and bacteria. Your carpets and upholstery get a lot of use, spills are inevitable. Be sure to ask your Chem-Dry professional about applying Protectant to your carpets and upholstery because over time, the factory-applied stain resistant becomes less effective and fades away leaving your carpets and upholstery susceptible to staining. Chem-Dry Protectants create a barrier around the fibres in your carpets, sofas and upholstered chairs to resist soiling and staining by allowing spills to be removed before staining can occur. Make sure your carpets and furniture look great year after year by applying Chem-Dry Protectant. The bottom line is that by choosing Chem-Dry’s Protectant package, you can stop stains in their tracks. 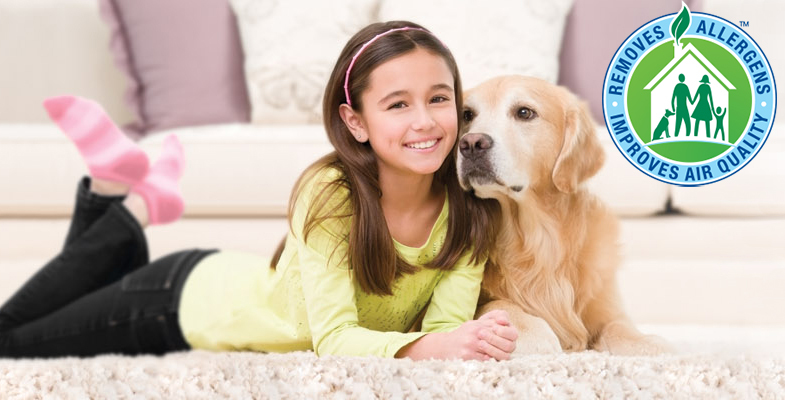 Unfortunately, carpets and upholstery absorb and collect common allergens and germs that can spread illness, cause allergies and make asthma symptoms worse for you and your family. So if you have someone in your home who suffers from allergies or have children in the home who love to roll around and play on the carpet and furniture, ask about Chem-Dry’s Healthy Home Package. The Healthy Home Package includes application of a professional strength deodoriser and sanitizer to reduce tough odours and allergens, leaving your carpets and upholstery clean, healthy and safer for you and your family. BOOK YOUR PROTECTANT AND SANITIZER CLEANING PACKAGES HERE!